Rome – La Citta Eterna – has failed to make me fall in love with it. During our two-week vacation in March 2012, we have planned to spend several nights in Rome, allowing us enough time to at least scratch the surface and decide whether we love it or not. Rome met us with sunshine and made us dig up our Italian knowledge to get a map at Tributina Station. We have booked a place to stay close to Termini Station, having researched Rome hotels and booked a room ahead of time. So we decided to walk between the two train stations. And by the way, I know that Termini area is not exactly one of the most recommend areas to stay in for first time travelers to Rome, but we wanted to be close to the airport transportation (our flight to Athens was early in the morning) and that departed from Termini. And we are not easily scared by “shady areas” anyway. Plus, we looked at the map and saw that the Roman Forum (Foro Romano) and Coliseum (Colosseo) were within walking distance. After we checked in at the hotel and grabbed something to eat, we got the map of the city and started walking towards the Roman Forum, passing by a stunning old church we visited, S. Maria degli Angeli. By chance alone we discovered that the church is housing Galileo’s Pendulum. For those of you who might have just given the screen a blank stare, a pendulum is basically a weight suspended from a pivot, so it can swing. When you move it away from the equilibrium position, due to gravity it would be forced back towards that equilibrium position. Galileo Galilei discovered the regular motion of pendulum which was used for time keeping. Both of us being geeks, we spent quite a bit of time reading the information available, taking photos and exchanging whatever knowledge we still had about it from our school days. Then we took a look at the map and followed the road leading to Foro Traiano (Trajan’s Forum), where we ended up right smack in a scam. One of the most well-known scams in Rome, to be exact. Please do not laugh. We were taking photos on the steps leading to Trajan’s Forum and a guy dressed in Roman solider approached us and offered to take photos with us; first with me, then with my boyfriend. Spotting something fishy, I was taking additional care of my purse fearing I’d get robed. Well, I did, but the guy was …more efficient than plain old robbery. He asked 10 euros for being in our photos. I was fuming and, seeing with the corner of my eye that a police guy just stopped nearby, I told the soldier “take 5 and go or I’ll tell that police guy”. The “soldier” than asked: “so where are you from?” The answer made him leave faster than my police line. It was a rookie mistake, reason for which I was fuming all the way to the Coliseum passing by the Roman Forum and all I wanted to do was to get a good night’s sleep as we had to wake up at 4 a.m. the next morning. But, we still decided to give Rome a chance during the two days we still had planned in the city after our return flight from Athens. Whether it was visiting Athens and falling in love with it, the scam which still bugs me almost two years later, or just not being able to make friends with Rome despite spending hours in the Foro Romano on the full day we had in Rome, the city failed to make me fall in love. However, I was impressed and indeed, it is a “walk in museum”. It’s enough to just walk aimlessly in the city to see a lot of interesting monuments. 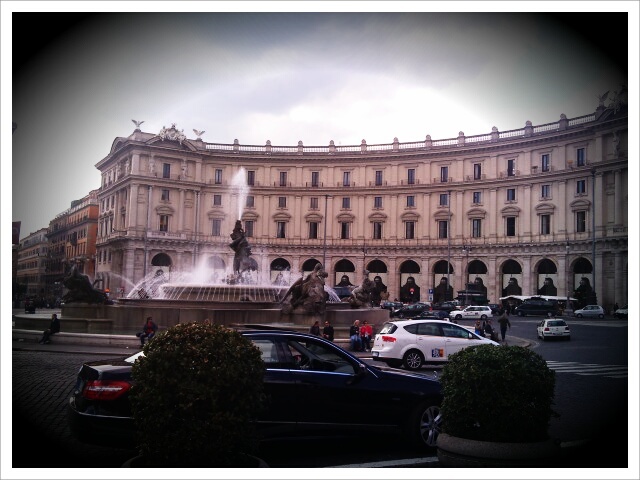 Maybe next time, Rome, you’d manage to make me fall for you. All photos by Traveling Cricket and may not be used without my permission. Obtaining a U.S. Visa Waiver Just Got Easier! Even the Colosseum hasn’t fully fallen for Rome yet, don’t worry… hahaha I’m sorry, but I couldn’t resist. Not everywhere is going to win your heart, and if they did, you’d have a lot harder time picking places to return to! It’s enough to appreciate the history and let it be. You do have a point. But since I badly want to visit Pompeii and Herculanum, I’d probably pass by Rome again just for Fontana di Trevi and Spanish Steps. And I’m pretty sure that Colosseum won’t be standing much longer at the rate it is not taken care of – how can you allow smoking in a historical site?! You can’t love every city, right? It’s just not human to like everywhere to travel through and how you feel about one place and how I do make us different and it’s the differences in people that are so engaging. I’m sure we could pull together a list of Italian places you’d love if you mentioned what you’re into. 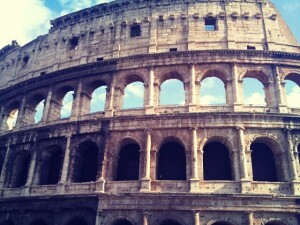 That’s the thing: I LOVE historical sites, but not in Rome. I cannot wait to go to Pompeii and Herculanum – soon, soon, I promise! I’ve heard similar things from friends who’ve spent time in Rome. It’s very disappointing, since there’s so many historic sites I want to see there! Jess, give Rome a chance. You might love it. Sure, it’s fine to read what others like or didn’t like but never take those for granted. I love Athens while some friends of mind don’t , for example.